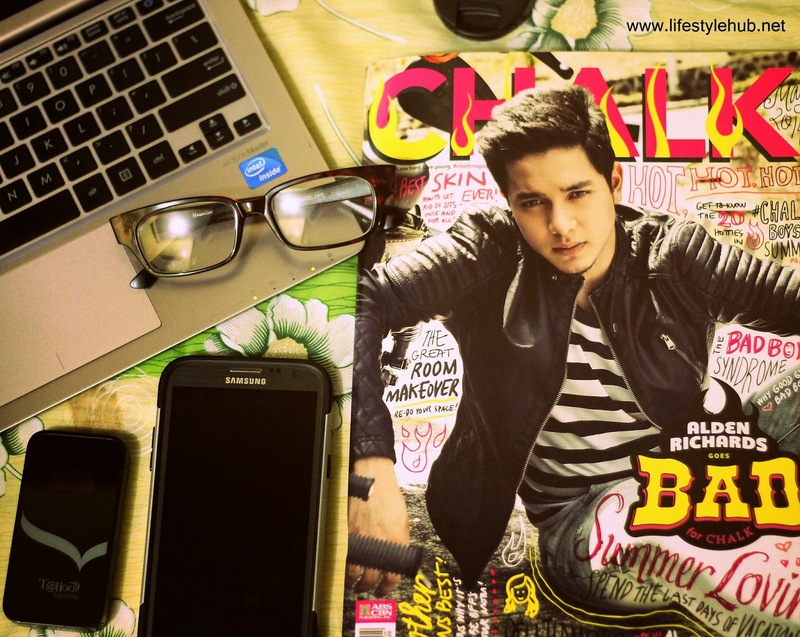 Today, I am reading all about Alden Richards and his slow but significant change of image. 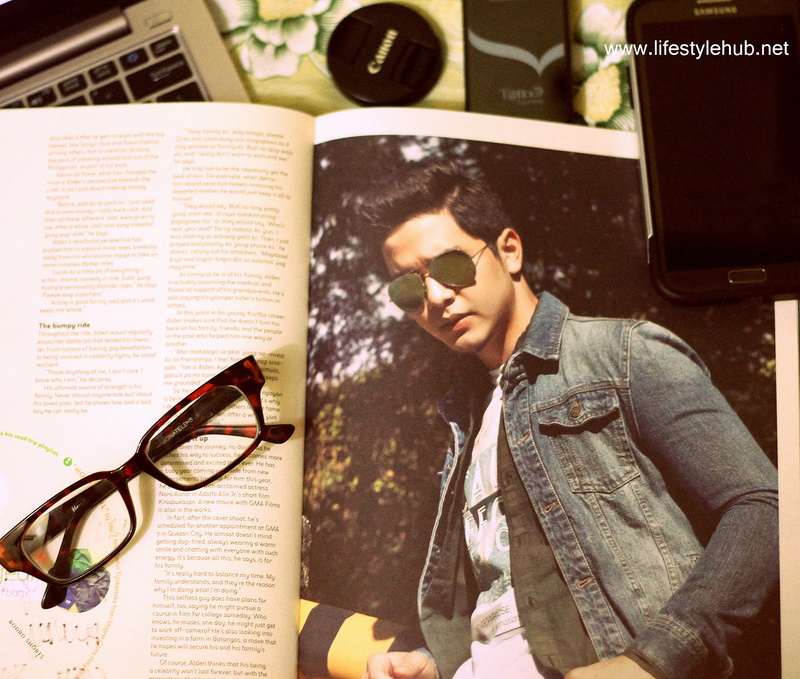 He is too clean to be rugged and his face too angelic to portray an evil role but Alden Richards shared to The Lifestyle Hub that he has been pushing for reinvention. Joining the ranks of Dingdong Dantes, Dennis Trillo and Aljur Abrenica as among the most bankable Kapuso leading men, Alden doesn't want to bore his audience. This has been translated to good effects so far after he is chosen as the cover boy of the May 2014 issue of ABS-CBN Publishing Inc's Chalk Magazine and has completed a "wild" love scene in his upcoming indie film, "Cain At Abel." Although he looks like he is, Alden never said that he is perfect. "Pasaway din ako minsan, minsan lang naman. Pero di pa naman ako nakagawa ng mga bagay na grabe," he shared pointing out that the worst thing that he did in real life so far are pranks. But when asked by Chalk Magazine if he agrees that the bad boys get the girls, he kind of took the nod. "In a way I agree. Kasi girls nowadays are really attracted to the bad boy image, pero I think nakikita nila if 'yung badass appeal ng isang guy is reasonable, yun ang nakaka-attract." The change though will have to come from the roles that he will soon portray and not really from his image as a popular personality. The Lifestyle Hub observed that Alden's Chalk may have provided him the leather jacket, dirty jeans, boots and the big bike, those didn't really give him the bad guy look. He still looks like that polite, handsome guy we want for a neighbor. 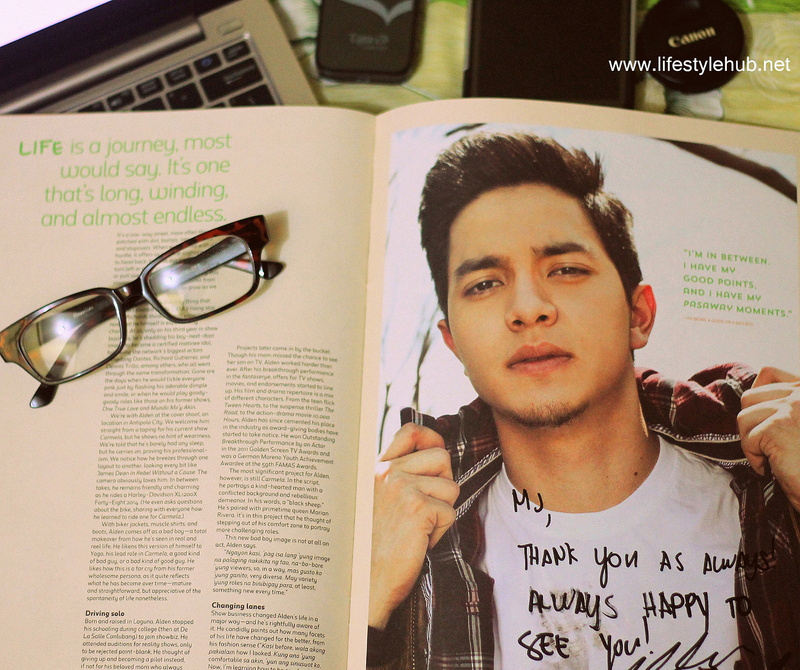 Here is my specially signed Chalk Magazine copy. Of course this made me so excited to read the May 2014 issue. Moving on to roles that will change how audience will see Alden as an actor, he is now filming an indie movie with fellow GMA talent Aljur Abrenica. He is not allowed to disclose some information but revealing that he has filmed his first steamy love scene is enough to intrigue us. He describes his love scene with Anika Gonzales in one word: wild. Proving that he is ready for mature characters, "Cain At Abel" will be his first project as an antagonist. "Sobrang sama ko po dito. There are scenes which at first, di ko akalain na magagawa ko pero nagawa ko. 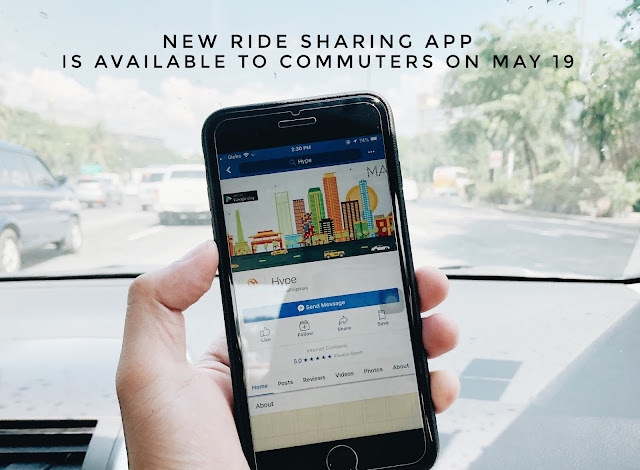 The kontrabida is really unreasonable so it was a challenge." Alden said he is ready for more of these roles in the future. "Cain At Abel" is scheduled for release in October. There are just guys born to make us fall in love and never hate. 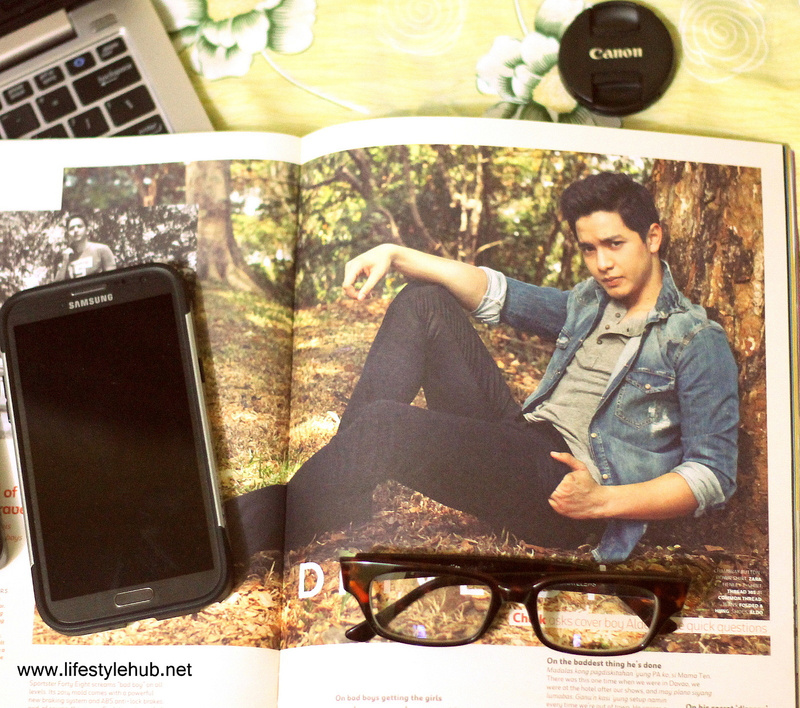 Alden Richards is a perfect example. Although we welcome his thirst to try new things and a different character, he will always be our vision of the kind-hearted. 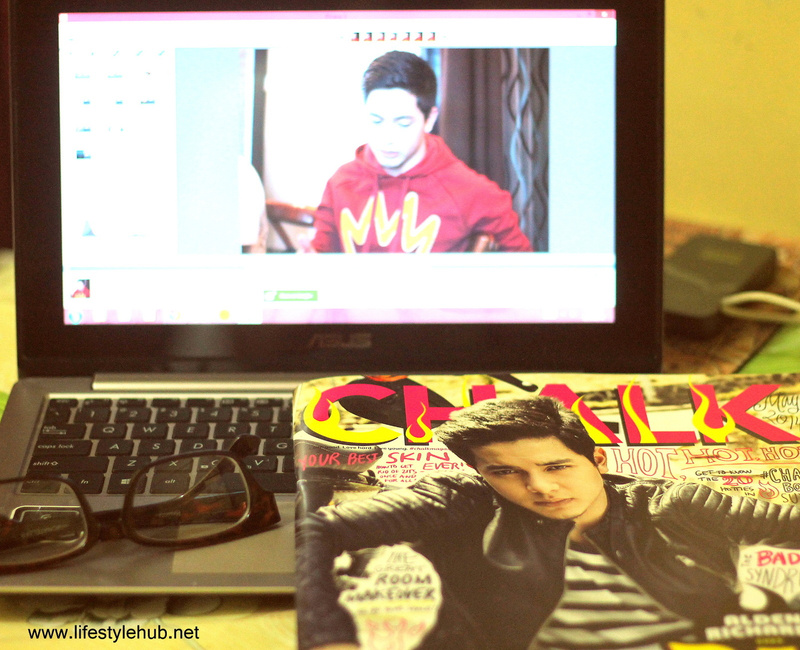 While editing photos taken from Alden Richards' solo blogcon last Friday, I can't help but admire the consistency from his interview for Chalk Magazine to what he shared to the bloggers.